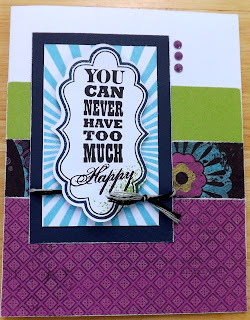 Sign up and pay by August 14. 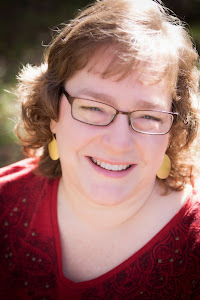 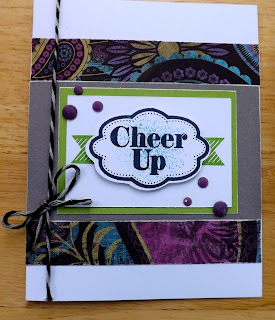 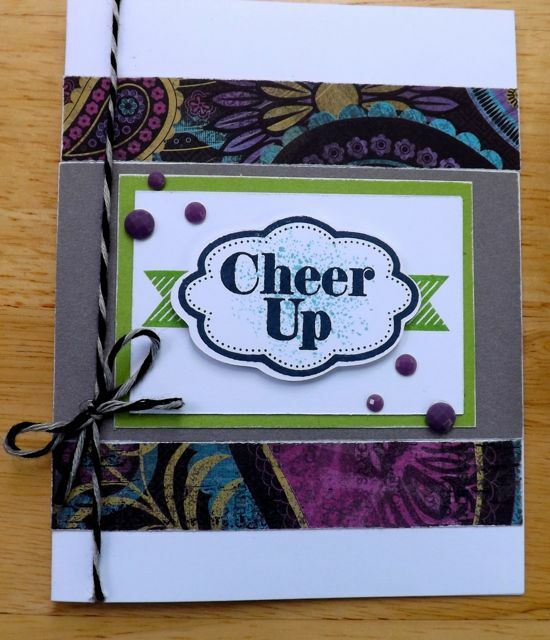 Can't make the class, you can order the Laughing Lola Card Workshop and create them at home! 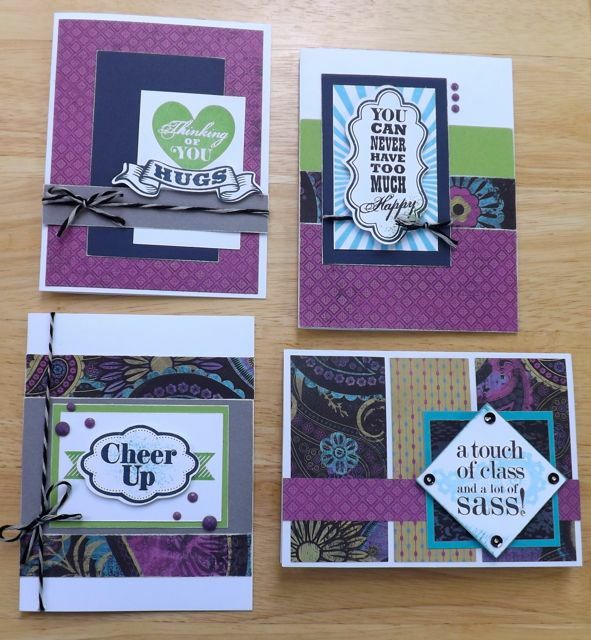 The kit makes 5 of each of the next three cards and the price is only $24.95 plus shipping and handling (a drop from $29.95). 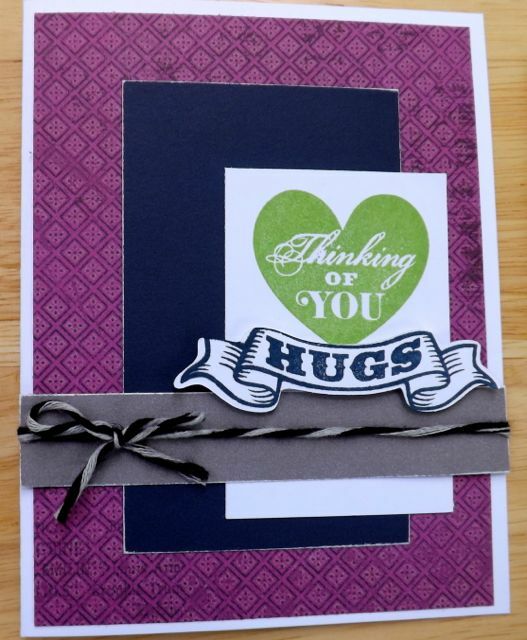 It includes all the embellishments, papers, and the stamps as well as a cutting guide and stamp. 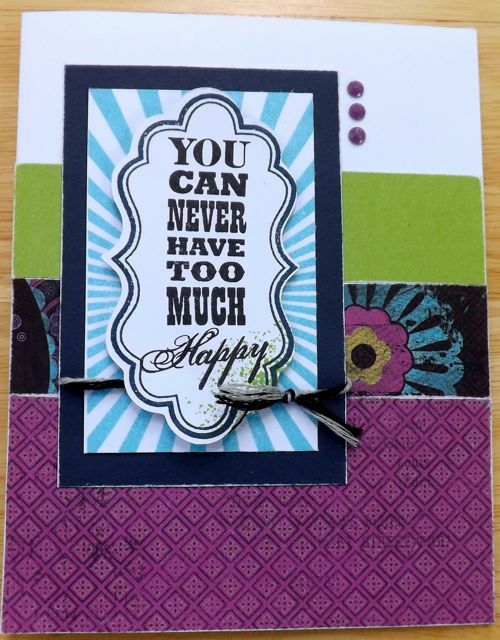 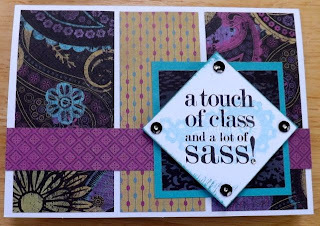 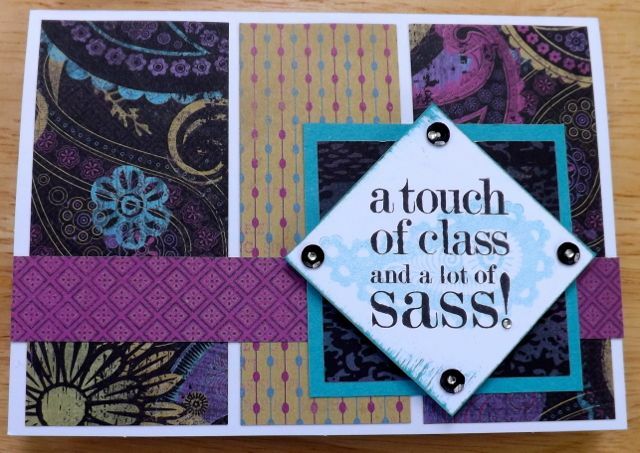 This card is made using the Laughing Lola Paper pack and the Paisley Perfect stamp set and is not included in the Laughing Lola Card Workshop.